The Back-to-School Picnic was a huge success. The WPC and volunteer Chairs, Mr. & Mrs. Dillon, brought the community together for a wonderful evening. While some children pogoed on the moon bounce, others had their faces painted with butterflies, rainbows, and flowers, and the gym was home base for the ever-popular dodge ball. Mr. John Popp set the vibe as our very own DJ. He kept the music going and the party hopping. Alumni parents, Mr. & Mrs. Robert Cannon of Rob’s BBQ, sizzled up over 500 burgers! The 8th grade raised funds for their class gift with a popular 50/50 raffle and balloon raffle. The 50/50 raffle winner, Mr. David Breen, was so gracious and supportive of the 8th grade that he donated a large portion back to the class fund. This year’s current spirit-wear made its debut, and lounge pants are in! 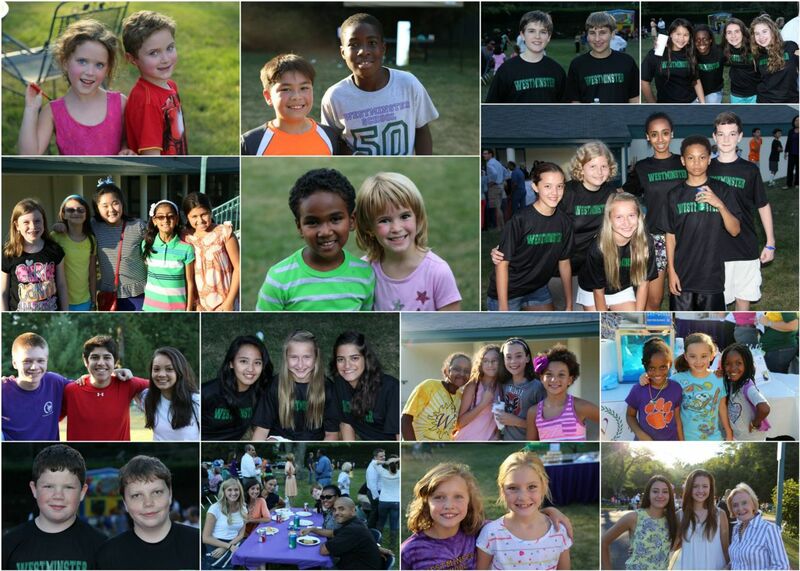 The many guests attending included current families from preschool through 8th grade plus our beloved alumni. High school definitely agrees with them! If you weren’t able to attend, you missed a golden evening full of good will and Westminster camaraderie—hope you can make it next year!